Fundamentals of Multiple Domain Tracking. How to Track Across Sub-domains. How to Track Across Cross-domains. How to Organize Your Data Using Filters. Domain name refers to a hostname -- for example, www.example.com and www.mysite.com are different domain names. Each domain name represents a numeric IP address on the Internet. DNS helps in mapping a domain name with its respective IP address on the Internet. Sub-domain is a part of the parent domain for example, secure.mysite.com or blogs.mysite.com will be considered as sub-domains for mysite.com. Sub-domains have their individually qualified hostnames. 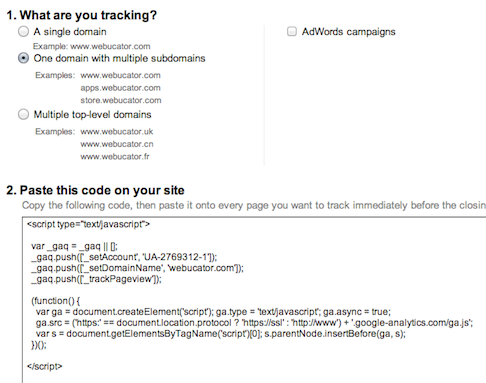 Google Analytics uses first party cookies and thus under the default configuration Google Analytics can't track across sub-domains or across distinct domains. You will need to configure Google Analytics such that the cookie information will be transferred from one domain to another. Your parent website has different sections, each of which is represented by different sub-domains (e.g. sales.mysite.com and partners.mysite.com). In this case, you will need to implement sub-domain tracking in Google Analytics. Your website redirects your visitors to a separate checkout website to complete their purchases. In this case, you will need to implement cross-domain tracking in Google Analytics. 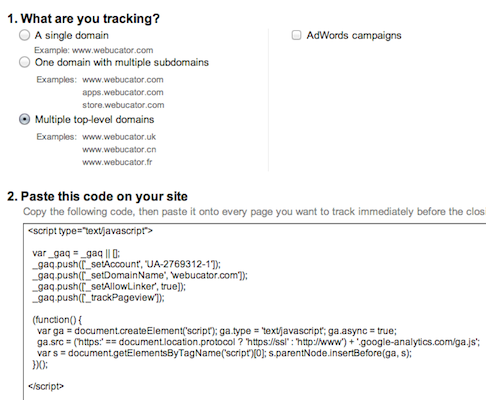 The _setDomainName method enables Google Analytics to pass cookie information across multiple sub-domains. 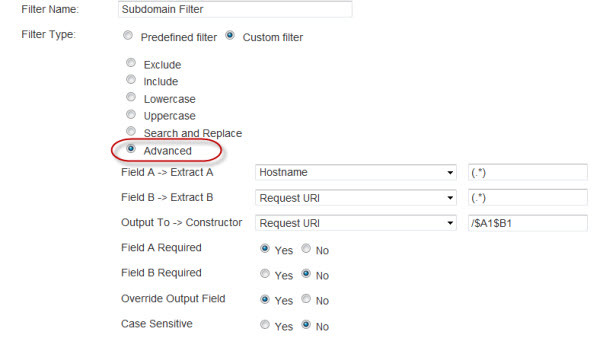 Here is how you can use this method to track multiple sub-domains for a fictitious website called www.mysite.com which has two sub-domains (e.g. sales.mysite.com and partners.mysite.com). This method should reference the primary domain (e.g. mysite.com). The above modification to your GATC will aggregate all the data from different sub-domains into a single profile. However, your reports may not distinguish between pages coming from mysite.com versus sales.mysite.com. For example, mysite.com/index.html and sales.mysite.com/index.html will be reported as /index.html. You will first need to add the _setDomainName and _setAllowLinker methods into your GATC on all pages for both websites. The _link() method enables Google Analytics to pass the cookie information across different domains (e.g. mysite.com and oursite.com) using URL parameters. Here is how you can use this method to modify your outbound links which are sending traffic from www.mysite.com to www.oursite.com.